The lyric is based on a campaign in late 1969 by John Lennon and Yoko Ono, who rented billboards and posters in eleven major cities around the world that read: "WAR IS OVER! 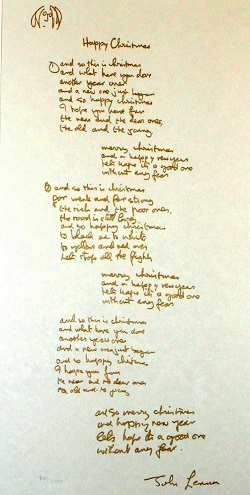 (If You Want It) Happy Christmas from John and Yoko. It has become a Christmas standard.